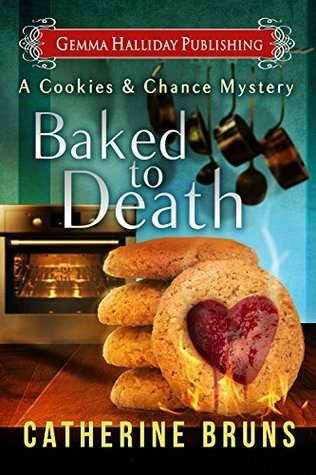 Book two in the Cookies & Chance Mystery series. Sally is doing better by this book. She has a new love interest, business is doing great, and they are about to be on a reality show about cookies of all things. Just when things are looking rosey Josie's ex-hubby shows up wanting a hand out that he so does not deserve. Before the ladies can get rid of him he is found dead with Josie of course the main suspect. Sally starts investigating again following a comical convoluted path to the truth that will really keep you wondering what exactly will be on the next page. I highly recommend it to fans of culinary cozy mysteries. I really enjoyed it so I give it 5/5 stars.